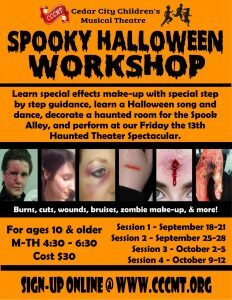 The Cedar City Children’s Musical Theatre (CCCMT) is having a Spooky Halloween Workshop. 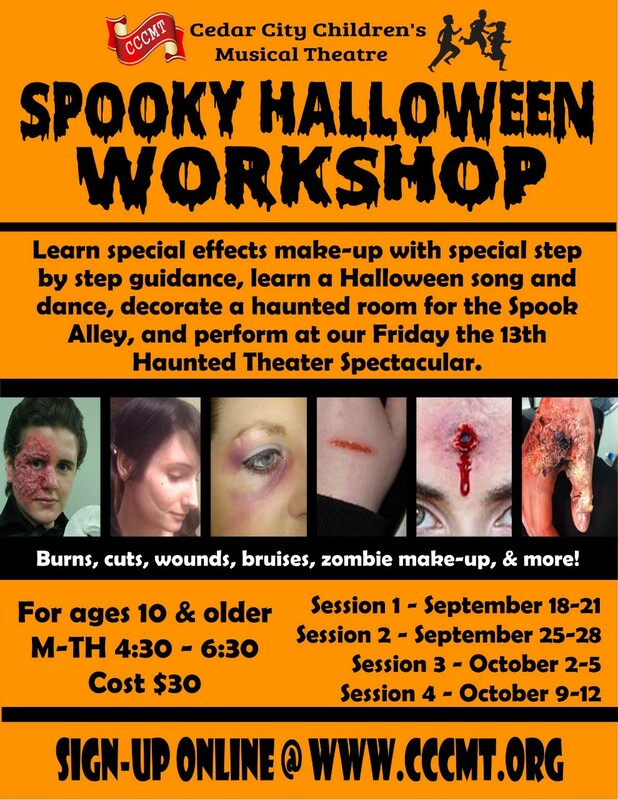 Learn special effects make-up with special step by step guidance, learn a Halloween song and dance, decorate a haunted room for the Spook Alley, and perform at their Friday the 13th Haunted Theater Spectacular. Monday-Thursday from 4:30 to 6:30. Cost is $30. For kids 10 and older.